Mother’s Day is coming up and The Anti-June Cleaver and Our Piece of Earth have teamed up with an amazing group of bloggers to bring you some great prizes for a special woman in your life. 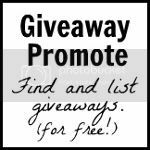 As always, once you have entered a giveaway visit the linky below for a chance to win even more great prizes. I’ve got a fun prize for mom or anybody that loves jewelry – the Madalee Petite Turquoise Triangle Necklace! This giveaway is open to US residents ages 18 and older. Giveaway ends Friday, 5/6/16 at 11:59pm EDT. To enter, just use the widget below. After you enter, keep scrolling down to see all of the other giveaways in this hop. Good luck! Disclosure: The Anti-June Cleaver, Our Piece of Earth, and the rest of the bloggers participating in the Celebrate Mom giveaway hop are not responsible for sponsors who do not fulfill prize obligations. I plan to go out to a nice restaurant with the family for Mother’s Day. I’m sending her flowers as we are across the country. I honor her memory by trying to emulate her love and kindness for all people. I try to do things everyday to show my mom that I love and support her. She is going through a difficult time right now so I’m working my but off to make sure she is taken care of. The way I celebrate my Mom on Mother’s Day is by clipping a big bouquet of lilacs from our backyard and placing them by her picture and ern in remembrance of what a great woman she was. And will always be in my heart and never forgotten. They were her favorite flowers. I like to get out family pictures on Mother’s Day and share memories of my mom with my children and my sister. I like to celebrate Mother’s Day by spending time with my Mom. I don’t get to see her very often anymore, so it’s always nice to see her. Normally we hit up the local Lilac festival and just enjoy the day together. We celebrate and have dinner with the family! I celebrate my mom by sending her flowers. My mom has passed, so now I celebrate with my mother in law. We get her what we can think of. But we do things for her all year round. I celebrate my mom by sending her flowers ! She loves flowers ! I celebrate my mom by spending the day with her and getting her a special gift. My sister always take her out to brunch or lunch. Sometimes we’ll go shopping or see a movie too. I like making a pampering gift basket and taking her out to eat. I celebrate my mom by writing her little notes to let her know how much I appreciate her. Nothing fancy, just spending quality time together. We usually have a special day for her – day spa and dinner with loved ones. I show my “mom” appreciation by letting her know how loved she is even though she lives 3 hours away! When mom was alive, we would get together for a family dinner. We celebrate and have dinner with the family. We celebrate with the whole family getting together and bar-b-cueing. Growing up we would buy our mother a mother’s day corsage to wear to church and then also we’d make her breakfast with a card. This year I’m getting her a necklace with a mother’s day card. First thing I do is call her and make sure her mother’s day gift arrives right on time or before, since she lives far away. I bring my mom brunch in bed with a bouquet of pretty flowers. I cook her dinner also. I always get flowers for my daughter and daughter in law for Mother’s Day. I am the mom or mom like figure in my life. I always took my mother or mother in law out for a nice meal when they were alive. I give her a present and cook dinner. I am so very happy this year because I will get to spend Mother’s Day with my mom. She lives pretty far away but is coming for a visit and will be here. I am going to make a few special treats the night before and am thinking a relaxing spa/movie day is in order. I cherish my little Italian mother-in-law who has been like a mother to me since my mother passed away. I like to do fun things with her and she loves to go with me to the farmers market and we bake together. Mother’s Day Flowers are always appreciated along with a home-cooked meal. It sometimes is in the small things. Knowing the perfume and flowers she likes so I can surprise her with them throughout the year. Just thinking of her and knowing her likes and personality. I will usually cook for them as they always seem to appreciate that. However, I think jewelry would go over nicely too.